Special page for Transit Passengers going to Indonesia/ Nw Zeeland and Australia. Click here! Tired, exhausted after the long trip? 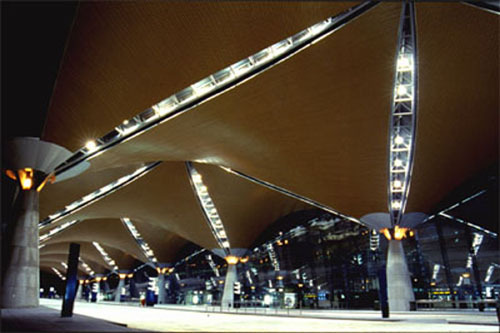 The airport of Kuala Lumpur (KLIA) is situated at Sepang. This town is famous for its Formula 1 Circuit for racing cars (Petronas Malaysian Grand Prix) and the Motorcycle Grand Prix. The new airport at Sepang is spectacular. It's one of the most modern and sophisticated airports in the world and is designed by the renowned Japanese architect Kisho Kurokawa. Kuala Lumpur International Airport, shortly: KLIA, was launched by the King, Yang di-Pertuan Agong Tuanku Ja'afa on the 27th of June 1998. Designed to be a regional hub, the airport is built in the jungle with features that allow flexibility for future expansion. KLIA has a futuristic look. The designer must have thought of a space station. Probably because the 21st century was near. Everything is very spacious and serene. Sometimes you think you're walking in a space station. A lot of glass (windows), white colours and shiny floors. All very clean, sterile. Actually the airport has two locations, which are connected by a monorail. The first building is for checking in/out and for the handling of the luggage. That's also the building for the domestic flights. The second building (Satellite Building) is for the international flights. After checking in, you'll pass the customs and step into the monorail to go to the Satellite building. Here you can go tax-free shopping and here you'll find the restaurants and pubs. The middle of the Satellite Building offers travelers a landscaped jungle behind glass: forest trees and sculptured waterfall for enjoyment and relaxation. 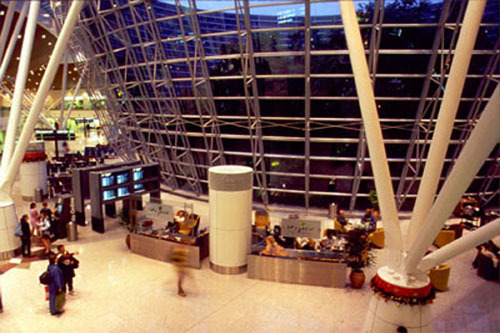 The Satellite Building features a forest in the airport. The architect must have thought of the former surrounding: "airport in the forest, forest in the airport". Behind this wall of glass is a piece of rainforest. "airport in the forest, forest in the airport"
If you have you've taken your luggage from the belt andyou've passed the customs, you want to go to Kuala Lumpur. There still two ways to go: by taxi or bus. Before you go out you must buy a taxi ticket at a ticket counter (before getting out!!). Don't worry about the price. They are fixed. On the ticket is written you're destination in Kuala Lumpur. Just hand you're ticket to the taxi driver and he'll bring you to your hotel. At the moment they is a new railway from KLIA to Kuala Lumpur. The fare of the ticket is RM35,- The train was a wish of the local public, because they think that the distance to the airport is too far and the price of bus/taxi is too high. 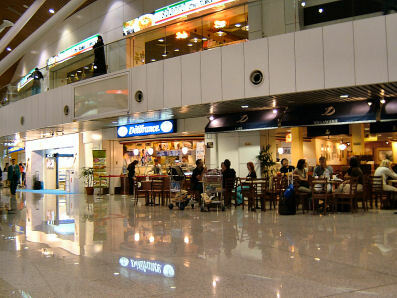 The airport is meant to be a central hub for the region of South East Asia. KLIA should be handling 25 million passengers a year. But if it's still possible? I don't know! The start was very good, but at the moment some airlines are leaving KLIA (Qantas). But.......... also some airlines think of coming back. For us, passengers, it's a relaxing airport. Beautiful to see. Very nice to walk around in this space station. 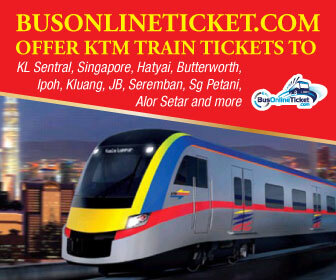 What are the various modes of transportations from KLIA to city hotels? Pre-book a taxi or bus to your destination.